The Federal Reserve has announced it will raise interest rates for the first time since 2006. 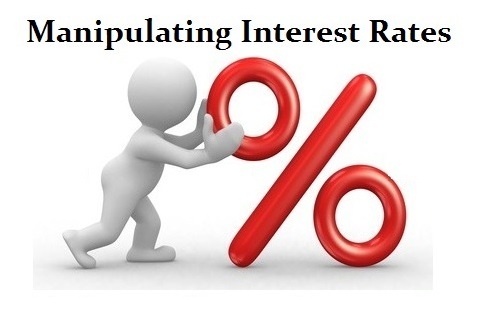 Fed officials said in a statement today (16th December) that it will hike the Federal Funds Rate, which is what banks charge to lend to each other overnight, by a 0.25 percentage point to a range of 0.25 to 0.5 per cent. IPM Group : Rather that write a long piece about what to expect from the USA Rate Hike , I thought Martin Armstrong's latest blogs covers it all very well indeed. Can the Fed Limit the Fallout Globally? No one EVER asks about the consequences of emerging market debt in the global economy. Ms. Yellen stated today they are aware of out interconnectedness and are taking measures to control the fall out. Really? Can they? When will we start to see the bond market implosion in Europe? ANSWER: The Fed has held back the last two times because of pleas about external forces. I have been warning that central banks have lost their SOVEREIGNTY. The Fed had “no choice” but to raise raise for the US economy is their responsibility. They cannot tell Congress they have failed to act because of emerging markets have borrowed half the amount of US debt since 2007. The Fed cannot limit the fallout. This is a massive debt crisis at the Sovereign level. It’s just TIME that is all. All our models are warning to strap yourself in tight. This ride will pick up velocity come March. For now, beware of the DEFLATIONARY collapsed. As we have warned, higher interest rates are NOT BEARISH but BULLISH for the stock market. Anyone who dares to peek under the rug at history for past performance will see U.S. stocks rally with higher rates. A simple correlation ALWAYS reveals rates rise with bull markets and decline in bear markets. Just nuts the way these people talk up these events. So the Federal Reserve announced it is raising its key policy rate for the first time in nearly a decade in a vote of CONFIDENCE in the economy rather than negative which has been indoctrinated in the minds of the vast majority by the talking heads for decades brainwashing everyone including the press. While everyone seems to be placing a huge question on whether the Fed will raise rates or not, the markets have already factored in the rate rise for some time. The Fed was scheduled to raise rates in June, but the IMF turned to the press to criticize them to prevent a rate hike. Then in September, the IMF, ECB, and other governments all pleaded with the Fed not to raise rates. The trend will change. The Fed has no choice and that seems to be what the pundits do not get. We can see that rates are BELOW the historic low of the Great Depression, but they are also at a 5,000-year low in interest rates on a global scale as well. The Fed is not faced with a bubble, so others like Larry Summers tell the Fed that they should not raise rates. Yet, Summers admitted that they cannot forecast the business cycle because it is far too complex. At the same time, Summers admits that the Fed typically needs to lower the rates in a recession by 3% and they have no such room from here. This is the conventional view. They can never see anything coming anyway so they just try to forecast whatever trend is in motion should stay in motion. The crisis is more than hedge funds going belly-up in fixed income. The same is unfolding in pension funds. Keeping rates low to try to “stimulate” borrowing lowers the value of money to zero and wipes out savings for something that has never worked. Then we have taxation and enforcement rising, which even Keynes said was wrong during a recession. This is all about the greed of politicians and nothing else. There is no giant conspiracy controlling the world. No one in their right mind would run it this way. We are flying in a plane where the pilot died at the wheel and nobody knows because the cockpit door is locked. None of the theories they use to control society have ever worked, which is why the “crowd” has NEVER been able to forecast a single economic change in trend. Looking ahead, there is absolutely no question that rates will go nuts. It appears that the Fed pressure will rise sharply in March. Do not forget that as capital flows into the USA, we will see asset inflation (stock market rise) and the gap between the non-investing and those who invest (the “rich”) will widen. This will increase the pressure on the Fed to raise rates to stop the bubble, which will be caused from external sources and not some socialistic agenda. We will be putting together a special report on the Yield Curve, which will create tremendous problems for central banks, hedge funds, and be the real harbinger of chaos. This report is not currently available, but we will make an announcement once it is ready. So for now, sit back and enjoy the show. The longer the Fed appeases the rest of the world, the worse the future will become. Money has a value and it is not ZERO.